Home Remodeling Ideas Source #1: Other Homes. Pop inside a model home or open house and be sure to have your camera on hand to snap pictures of your favorite fixtures, finishes, and interior/exterior layouts. Whether you’re having dinner in a friend’s newly remodeled home or you’ve signed up for a new house tour, you can uncover ideas first-hand within your own community. Home Remodeling Ideas Source #2: Resources. Publications like Remodeling Today and Qualified Remodeler Magazine and organizations such as the National Association of the Remodeling Industry, contain a wealth of ideas and resources. Interior and exterior design magazines also can be found everywhere from local bookstores, to grocery stores, drugstores and home remodeling warehouses. Home Remodeling Ideas Source #3: The Internet. The Broadband Information Age has had an enormous impact on the residential remodeling and design industry. Imagery intensive sites such as Pinterest and Houzz make it easy to locate and virtually organize remodeling ideas. Home Remodeling Ideas Source #4: Publications. Many conventional home publications, such as Better Homes & Gardens (www.bhg.com), Country Living Magazine (www.countryliving.com) and HGTV (www.hgtv.com) devote entire sections of their online sites to remodeling tips and ideas. 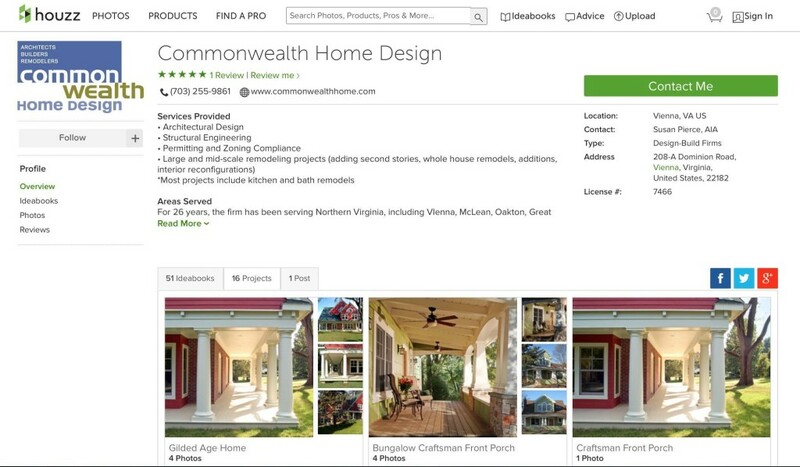 Visit Our Work and follow us on Houzz to get design ideas for your next remodeling project!